Based on a unfilmable book by Thomas Pynchon, this follows the traditions of other private eye thrillers like The Big Sleep, a shambles of a man who starts off with a simple investigation that, as he digs deeper becomes more complex. The trouble is, Pynchon’s central character is almost permanently stoned, a drug-fueled detective which makes everything that little more muddled. This may be perfectly fine in print form but on film, it makes for an incoherent mess. Anderson’s script is rambling, drawn-out and incredibly wordy. Scenes between characters drag on and on, sometimes in single shots that go on forever. In fact, you long for someone to come along and start hacking it in order to induce some life into it. At a very long 148 minutes, it never picks up the pace, staggering along like a drunk on a huge binge. It become increasingly irritating and you will lose your patience well before the final reel. On the plus side, the film has the look of a 70’s movie. Robert Elswit’s cinematography is superb, using sun-bleach 70mm film stock, it has that grainy quality so often seen in 1970’s cinema. The costumes and set designs also come across incredibly authentic, and some of the songs used, mainly Neil Young, work well. The performances are valiant too. Joaquin Phoenix is perfectly suited as the spaced-out detective. Sporting the finest mutton chops to hit the screens in years, Phoenix is a strong enough actor to carry a film but here, you find yourself not really caring too much about him. Not the fault of the way he plays Doc, it’s just the bagginess of the script that drags everyone down. Josh Brolin comes out the best as the hard-nosed, straight-laced Bigfoot, a man with the flattest flat-tops and a love for chocolate bananas, producing one of the films few high points. He attacks the part with a sense of fun yet never cracking. The rest of the cast flit in and out, never really making any real mark. Most notably wasted is Reese Witherspoon, who seems to be suffering from a hair colouring issue. Long, laborious and unbelievably dull, this should have been one of the year’s highlights. Instead we have massive disappointment from a director who seems to think he can do what he likes and still get enormous praise. Well I am getting a little tired of Anderson’s failures and long for the days when he produced multi-layered character studies like Boogie Nights that worked. 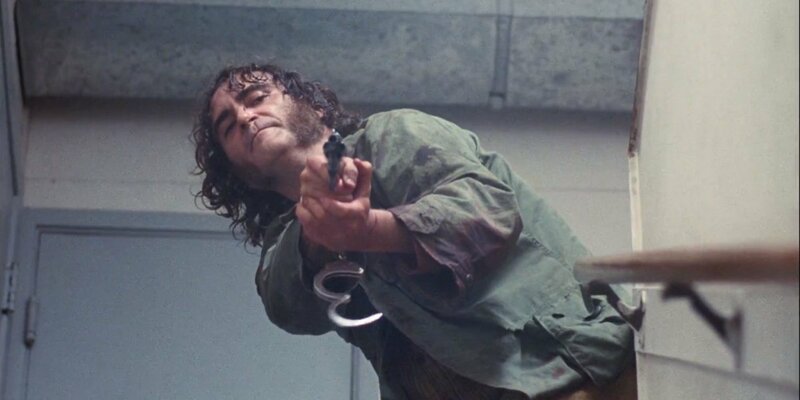 Inherent Vice is, without a doubt, his worse film to date.